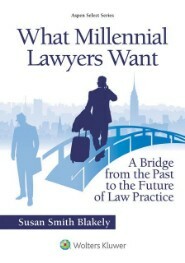 For you third-year law students, soon your biggest challenge will be finding a job after graduation. That seems daunting, I know, especially in these economic times, but your hard work will pay off and soon you will be looking critically at firms and other employers and evaluating them for your future needs. 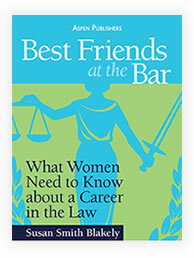 When you are considering that job offer—and you will be—here are some suggestions about what should be important to women lawyers in the workplace. The information is directed to the law firm employer, but it could just as well be a judicial clerkship or another practice type. I recently attended a Prelaw Advisors Conference in Las Vegas at UNLV Law School. The conference was sponsored by the Western Association of PreLaw Advisors (WAPLA), a subgroup of the National Association of Prelaw Advisors (NAPLA). 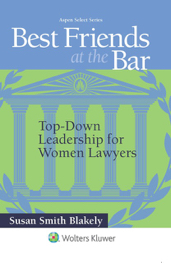 Because my book includes so much information for undergraduate women who are considering law school, this is a great market that I am just beginning to tap. Not only did I sell some books at the conference, I also found that the pre-law advisors who attended are a very caring group. They spend a lot of time thinking about their students and making sure that they are giving them good advise about their futures. One of these advisors, Professor Eileen Crane of Utah Valley University, particularly impressed me. 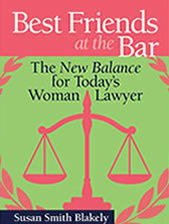 Her program is called Connected Lawyers are Happy Lawyers, and I want you to know about it and use it to your best advantage. Professor Crane was generous and gave me permission to tell you about it. That’s how much she cares about the future of today’s undergraduate and law students.